Do you like Soft Rock Music? Are sweet falsetto vocals and soulful beats your guilty pleasure? 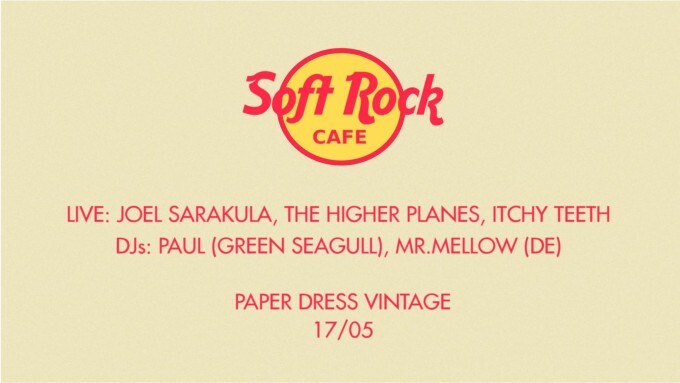 Then welcome to the Soft Rock Cafe at Paper Dress on Friday 17 May featuring the latest and greatest in live and pre-recorded Soft Rock, Soul and Bedroom Disco. 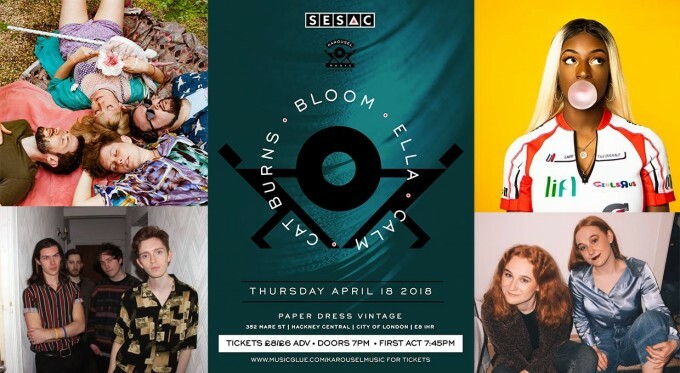 Performing live on the night..
Joel Sarakula (UK/AUS) plays Soulful Pop with Soft-Rock and Disco influences, looking out at a 70s tinged world through vintage glasses. He has travelled the world in search of his muse and performs a seemingly never ending run of shows. With personal tastes that span from the more avant-garde to soul and pop greats like Sly Stone and Hall & Oates, there are clear nods to contemporaries like Erlend Oye and Toro Y Moi in terms of ambition and style. After having a bright idea, the Higher Planes went out one day and bought a cauldron. In it they added some boys and girls, some rock and roll rhythms, the leftovers from the night before’s Memphis soul stew, some harmonies, and some pagan eschatology. After pouring it all out into the middle of a stone circle during Samhain, they left to purchase assorted musical instruments, and educate themselves about their forms and potentials in order that they should travel and play throughout the land. Having been locked away for the last few months getting new material together, Itchy Teeth are playing their first gig with a new lineup at the Soft Rock Cafe, before heading off to Germany for a mini tour to test out the new songs. And we’re open til 2.30am so you can dance deep into the morning… softly. RSVP to the event page and pick up an advance ticket here! 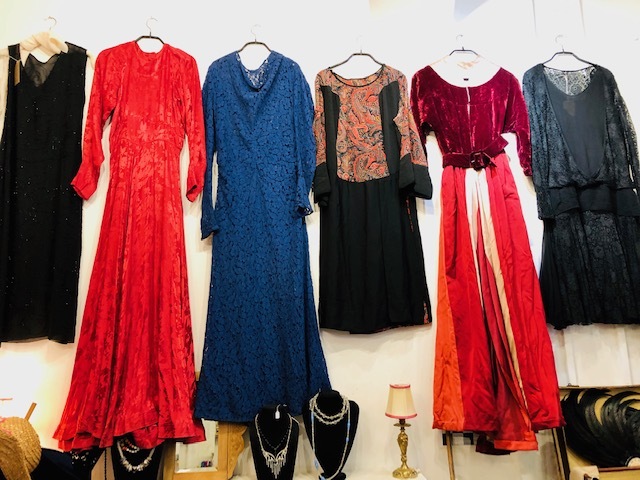 Super amazing fabulous elegant unusual and delightfully antique Spring stock just in…this stuff will get you drooling and heart swooning! 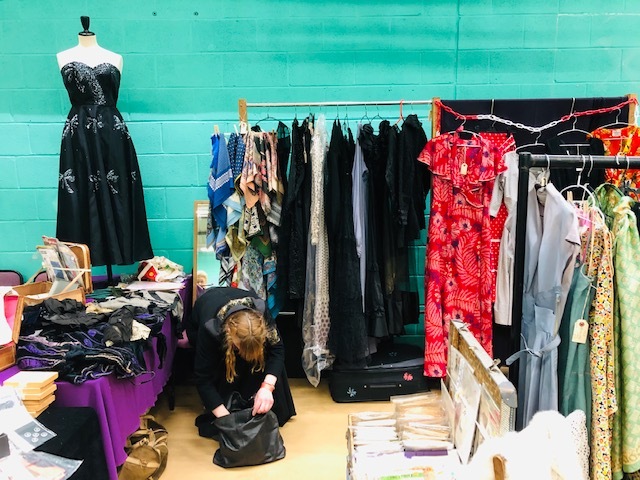 My trip north to Manchester Textile Fair last weekend was well worth the 5am start. As much as I love to wear fun prints from the 60s / 70s it’s the exquisitely designed frocks of the 20s & 30s that get me going! 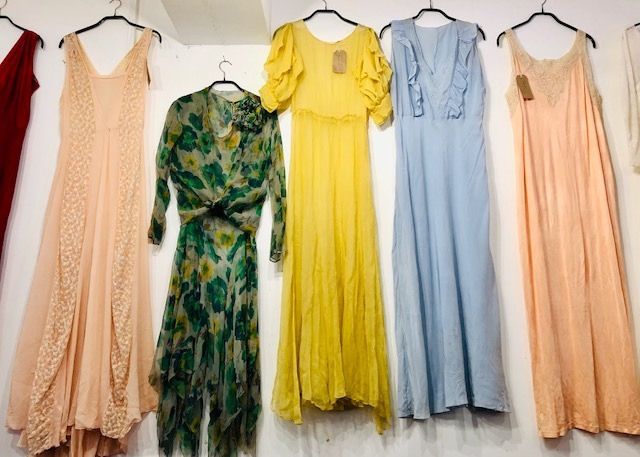 Join us and delight in printed silk chiffons from flapper times, silk satin 30s gowns in crimson reds and an abundance of pastel slip dresses – perfect for the upcoming wedding season and heatwave that’s surely on the way!